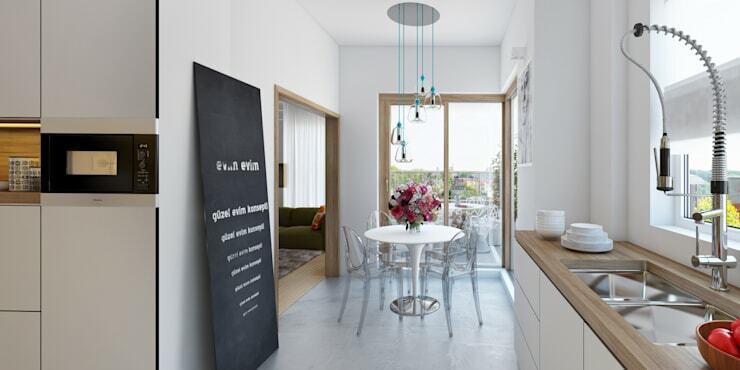 No room demands practicality like the kitchen. 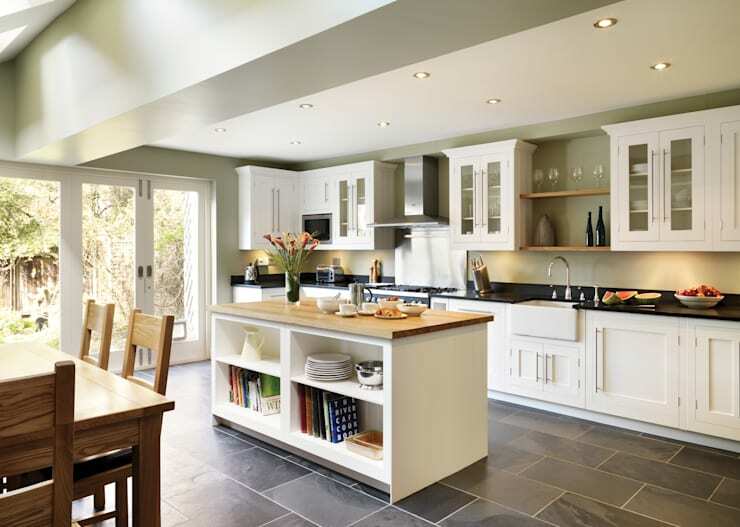 For a relatively small amount of space, a kitchen has to fit in a whole lot of function. 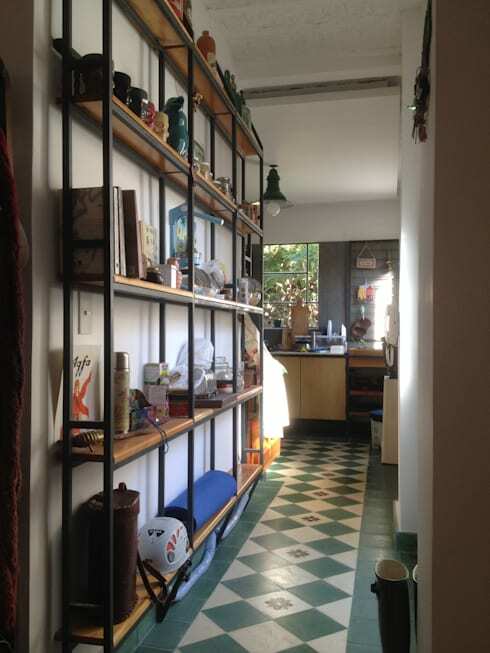 It's a storage space, a workspace and often a dining area as well. 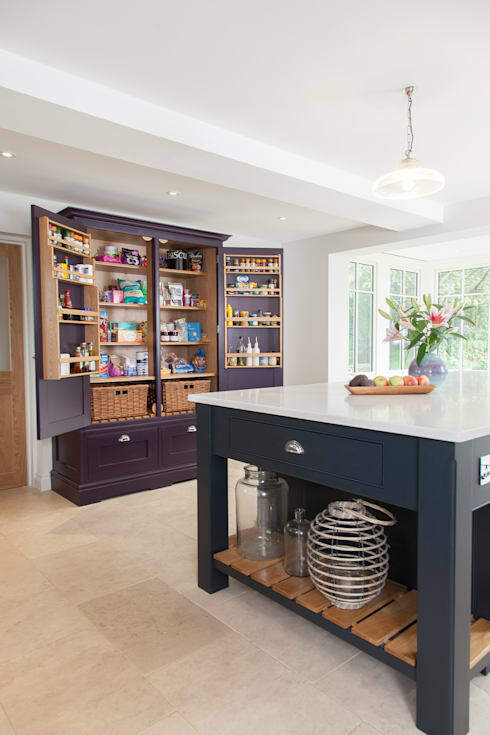 To make things even more tricky, lots of little practical needs are really easy to overlook when designing a kitchen. Many only appear after you have used a kitchen for a while. So if you are in the planning stages or looking to upstyle your old kitchen, come with us to check out a few practical tips. We bet you'll love them! The most obvious starting point is the countertop, because kitchen planners say that the most common complaint for many people is a lack of bench space. This slide-out bench is a great solution to the problem. A kitchen island adds extra storage space, benchtop space and can be used as a breakfast bar too. 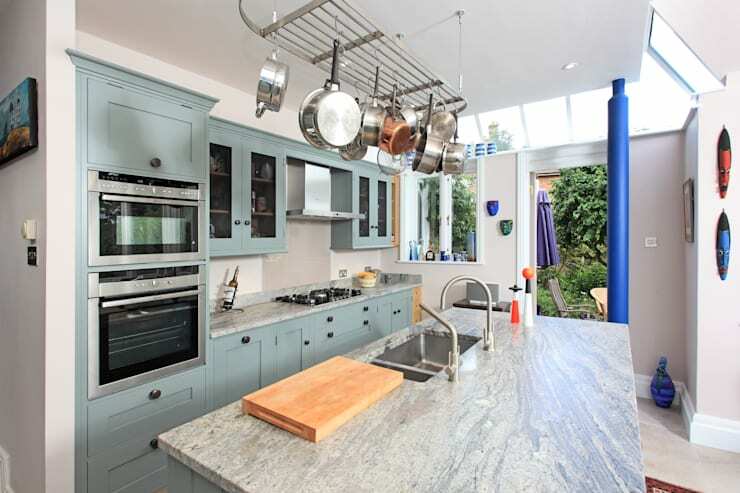 It's a flexible option that works in a huge variety of kitchen layouts. Pots and pans are cumbersome and annoying to store in ordinary old cupboard. A hanging pot rack will sort this out and save on floor space too. A hanging rail has similar benefits to a pot rack, but it takes up even less space. 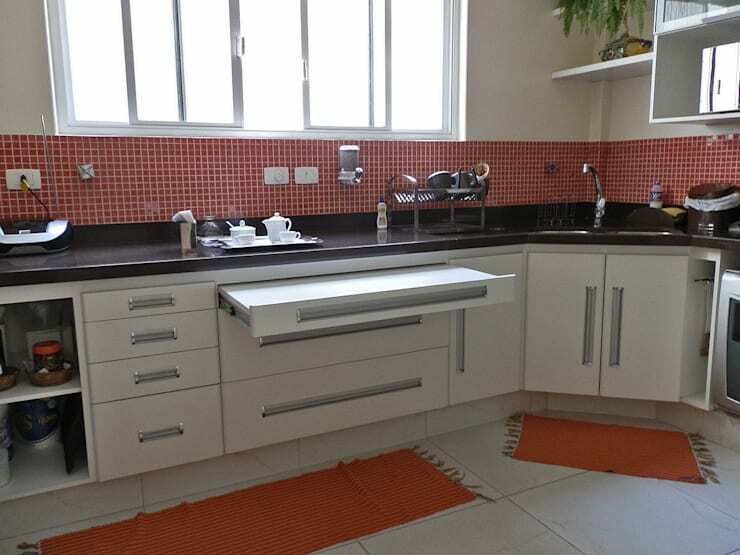 It might even create a visual boundary around a small kitchen design like this. There is nothing worse than rummaging around in hard-to-reach corners of the cupboard. Sliding drawers will make a huge difference. This means you can reach items from above too. 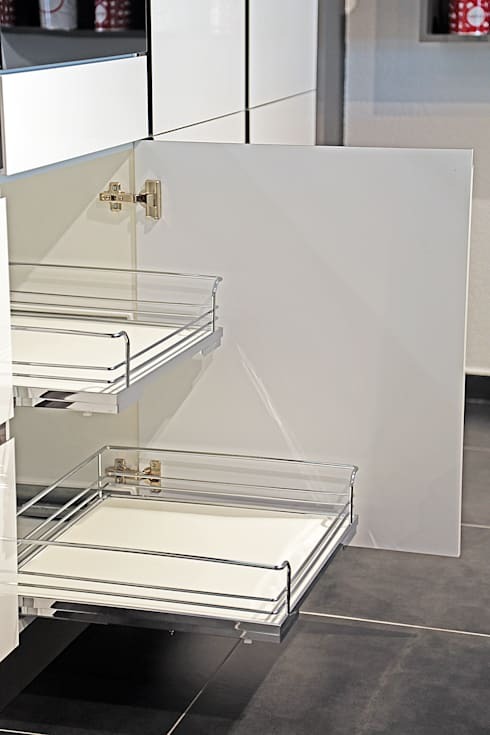 Steel baskets are a nice addition to the sliding drawer design. Stainless steel is hardy and easy to clean. This is why it's so popular in professional kitchens. Most kitchens are full of lots of little containers, condiments and spices that take up barely any room. It's a waste to store them in big cupboards. Just build a custom-fit shallow shelf in an unused corner of the room. Cabinet lighting has a massive effect on the look and feel of a kitchen. We can't overstate just how important it is in a small kitchen. 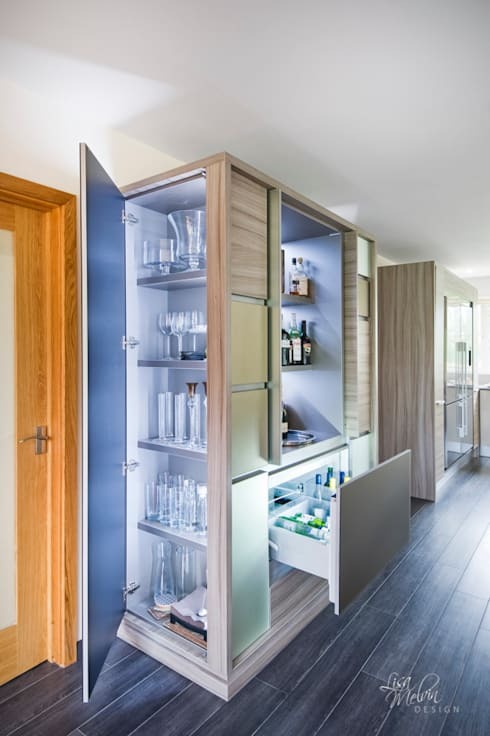 No many how clever your storage design, it is almost always beneficial to use the backs of the cupboard doors as shallow storage shelves. 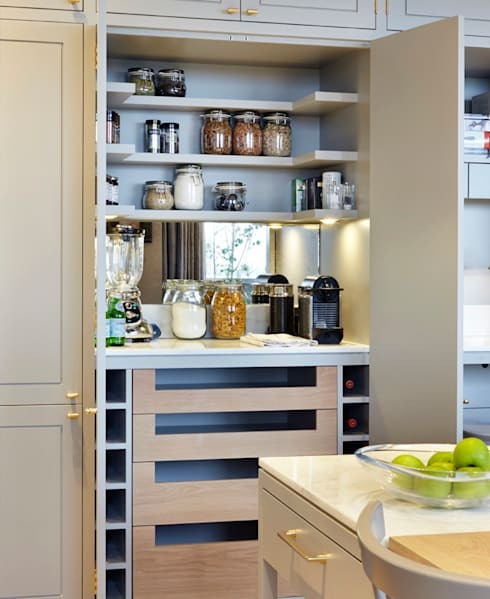 Look at this kitchen pantry for inspiration. Most people know the frustration of realising that you've spend a lot of money on a cool appliance you never use. The problem is that people get tired of pulling out a big appliance and putting it away again. 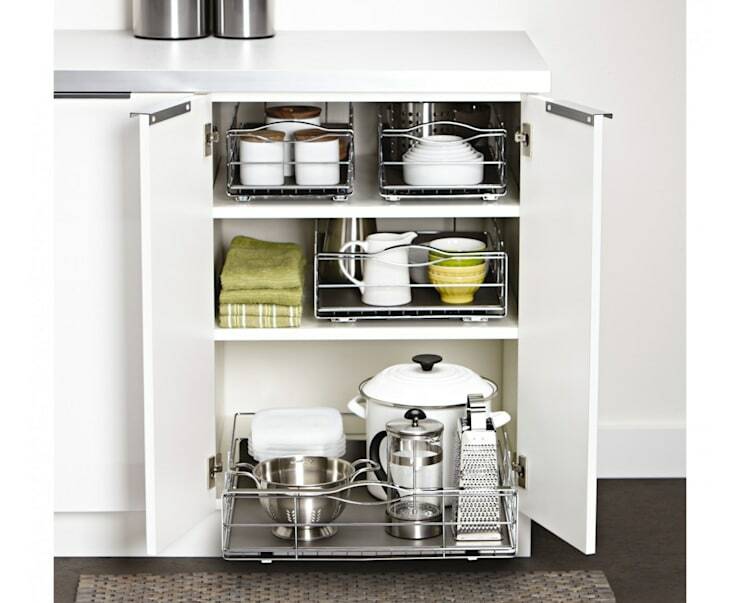 Resolve the issue by setting up an appliance hutch. Appliances are permanently plugged in and hidden away behind a closed door. 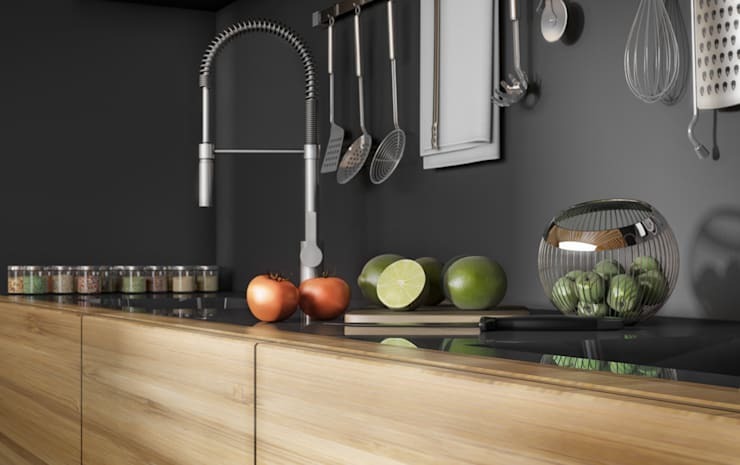 A flexible tap head will help you properly wash vegetables and keep your dishwashing under control. It will also save water. A kitchen blackboard is utterly simple and rather attractive. It's good for creating grocery lists on the go. This means no wiping your hands and pulling out electronic devices. This reminds us, an tablet stand is great for keeping your electronic devices dry when following recipes you find online. 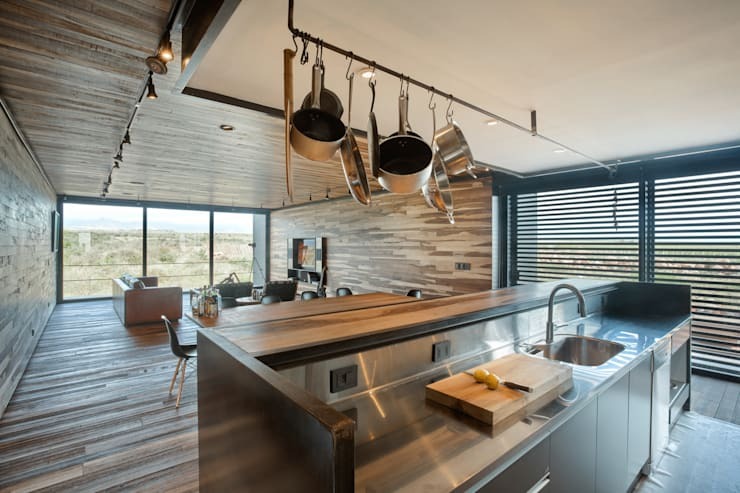 For more kitchen love, check out 10 kitchen counters you'll want in your home. If you have any more tips, share them with us below!